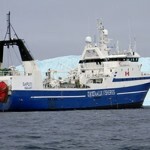 On January 21, the 220 foot long fishing vessel Saputi sustained hull damage while fishing for turbot in the Davis Strait between Canada and Greenland. 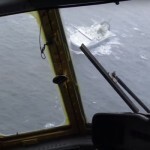 The trawler had struck ice which cut into the hull causing water ingress. 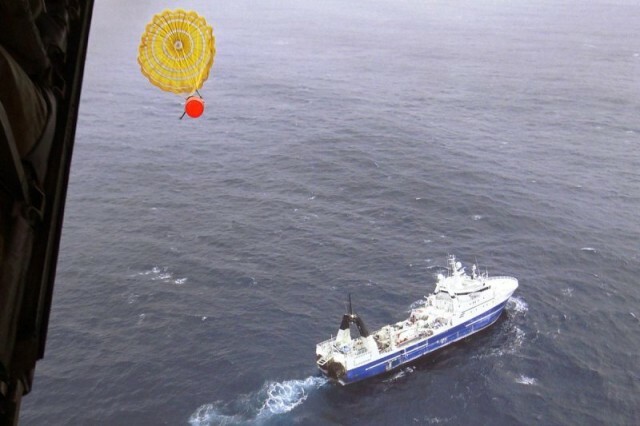 The crew requested assistance with both Danish and Canadian authorities responding. 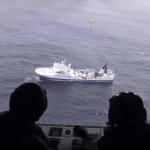 A Canadian Coast Guard icebreaker and an fixed aircraft was dispatched while the Danish Navy directed a vessel to the area. 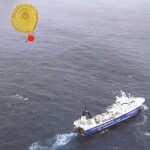 The aircraft arrived first on the following day and was able to drop four dewatering pumps to the Saputi. The Danish warship arrived on scene a short time later delivering additional pumps and technicians. The Saputi proceeded towards Nuuk, Greenland escorted by the Danish warship Knud Rasmussen. No reports of injuries to the 30 crew on board. Reports stated that the catch of turbot on board the Saputi may have been lost resulting in an estimated loss of $1 million dollars (CA).